The full story will come out later, they say in a media release aimed at protecting the Hernandez family's privacy. CONWAY, N.H. — The New Hampshire teenager who returned nine months after she vanished on the way home from school was violently abducted by a stranger and “suffered numerous acts of unspeakable violence” for many months, her lawyers said in a written statement. The three lawyers put out the statement Tuesday on behalf of Abigail Hernandez and her mother. It was featured on the “Bring Abby Home” website created after the 14-year-old disappeared Oct. 9 on her way home from school in Conway, a small tourist town in northeastern New Hampshire. “Abby needs and wants some time and space to physically and emotionally heal,” said the statement issued by attorney Michael Coyne, dean-elect of the Massachusetts School of Law, and two other lawyers. “It is going to be a long process in pursuit of justice for Abby and for Abby to get physically and emotionally stronger. We do not intend to have this case tried in the press. “As the justice system moves forward, and the evidence is revealed, questions about this horrific event will be answered,” the statement said. Coyne said they put out the statement to shield Hernandez and the family from the intense interest her case has generated. “They’re being inundated with media requests, and many up to now have not respected her desire to deal with this privately,” Coyne said. Coyne said Hernandez is getting professional help, but he declined to discuss details. Authorities launched a wide search for the teen and offered rewards. Missing posters went up through the region, but for nine months the only trace of the girl was a single letter she wrote to her mother. She came home July 20, but the circumstances of her return are just as murky as the details of her disappearance. 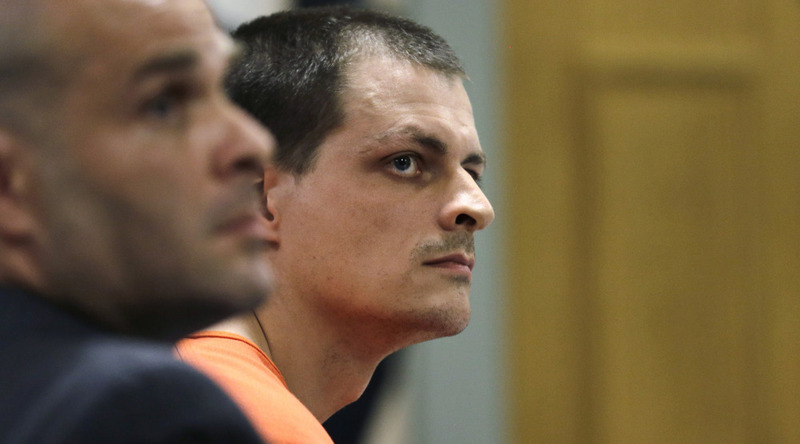 On July 28, police charged Nathaniel Kibby of Gorham, New Hampshire, 34, with kidnapping her. He is being held on $1 million bond. Kibby’s lawyer, public defender Jesse Friedman, declined to comment on the lawyers’ statement. A judge recently ordered investigators to leave in place a trailer and a large storage container belonging to Kibby in Gorham, about 30 miles north of Conway.